Native American groups led a rally Monday morning at the Utah Capitol, calling on political and religious leaders to denounce racism. It was organized in response to President Donald Trump’s disparaging remarks about Haiti and African countries last week. Dozens attended the rally that coincided with Martin Luther King, Jr. Day. Speakers honored the slain Civil Rights icon for his work to promote racial equality, but also took a sharp tone against President Trump. Moroni Benally works for the Utah League of Native American Voters. He says the Trump White House does not honor the spirit of King’s legacy. But for some people, the message was off. Pamela Miles brought her grandchildren to the rally hoping to hear inspiring messages. What she got, she says, was foul language and divisiveness. The rally followed with a march to the Utah Governor’s mansion. 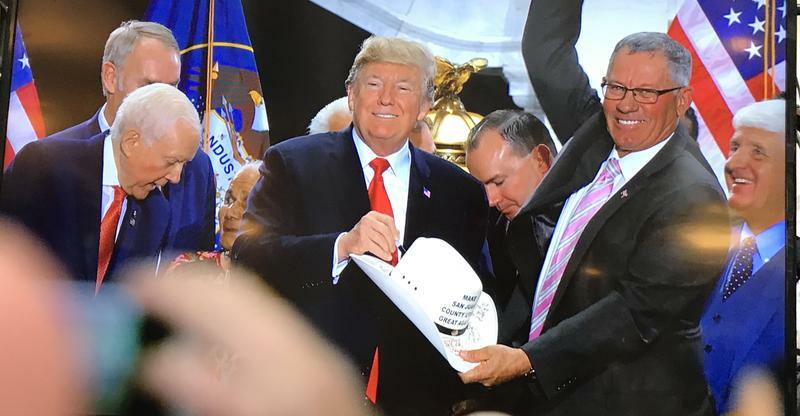 To see how far back the issue of public lands has divided Utahns, look no further than the guest list for President Trump’s signing ceremony at the state capitol on Monday. 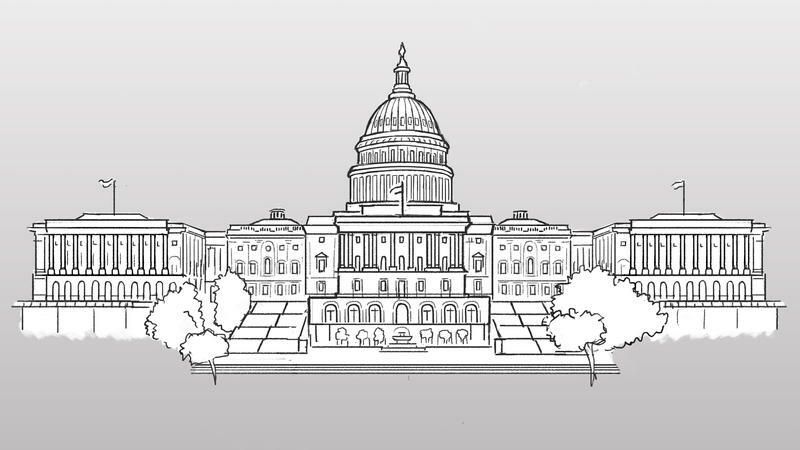 FBI Director Christopher Wray is testifying before the House Judiciary Committee for an oversight hearing. He is likely to face questions about the Russia investigation led by special counsel Robert Mueller. Last week, former national security adviser Michael Flynn pleaded guilty to lying to the FBI about his conversations with the Russian ambassador. The hearing also comes days after President Trump attacked the FBI on Twitter, saying "its reputation is in Tatters," citing the investigation of Hillary Clinton's private email server under former Director James Comey. 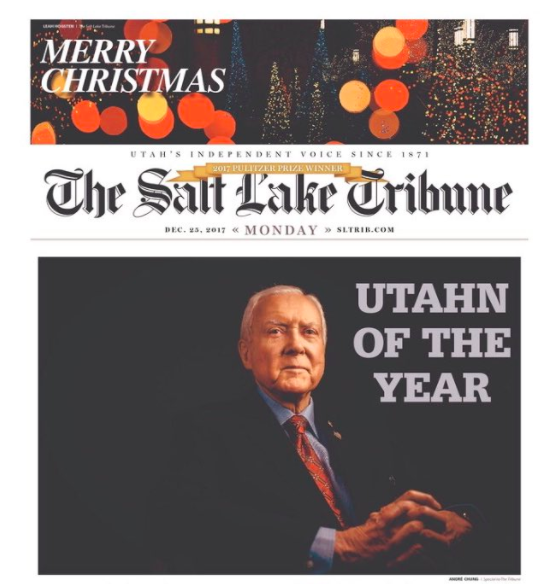 Sen. Orrin Hatch is hitting back at a scathing Salt Lake Tribune editorial being spread far and wide online in which the paper's editorial board calls on the 83-year-old to retire at the end of his term.